If you want your eyesight remain good for long time then you should have an orange. The daily consumption of orange is beneficial for eyes. Macular decay in the eye is a condition associated with age, which creates difficulty in vision. TB: The research has shown that the daily consumption of one orange reduces the risk of macular tuberculosis by 60%. Orange contains flavonoids that avoid bad vision. Flavonoids are effective anti-oxidant, which is found in flowers and vegetables. It is beneficial for immune system. Blood Pressure: It is necessary to balance sodium amount in body to avoid low blood pressure. Orange maintains sodium amount in body. Therefore, high and low blood pressure patient should intake orange. 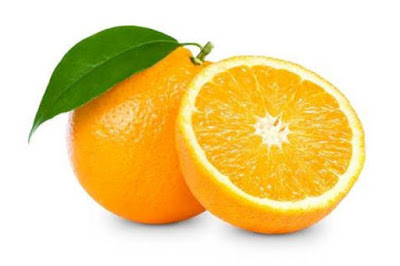 Cancer: Orange is full of vitamin C that avoids free radicals. It also contains lymonin that avoids growth of cancer cells. Mandarin and vitamin A is found in orange. Kidney Stone: The daily consumption of orange avoids kidney stone. One can use liquid form of orange to avoid stone. Piles: Orange avoids stomach ulcer and gives relief from piles. Therefore, daily drink one glass of orange juice after meal. Weight: The regular consumption of orange reduces weight. One can also reduce weight without dieting. Cold-Cough: Orange contains vitamin C that gives relief from cold-cough. Orange is cold therefore; do not eat in cold-cough. However, it is not correct. Orange and other vitamin C fruits give relief from cold-cough. Face: Prepare mixture of orange peels with mahin powder, rose water and raw milk. Apply it on face for half an hour. It cleans the face and increase the shine of it. It is also beneficial to avoid pimples and darkness. Urine: Orange contains citric acid that is beneficial to avoid urine and kidney related problem.